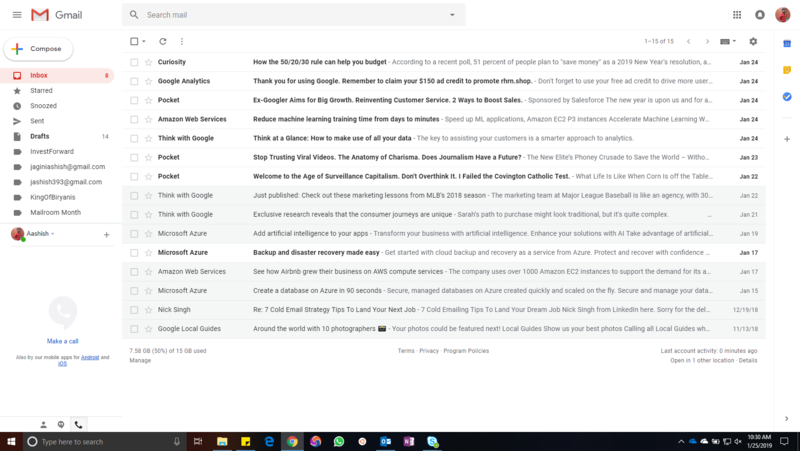 With Google reminding me about Inbox’s sunset every time I use it, I thought I should write a brief blog post to make my case for not discontinuing Inbox. I have been using Google’s Inbox by Gmail since 2016 and was always impressed with it. I must admit, this has been the best email app I have ever used. The user interface is one of the best if not the best of all. Interface: The interface of Inbox is years ahead of the regular Gmail. There is enough spacing between the elements, and the use of clean colors makes it look very clean. 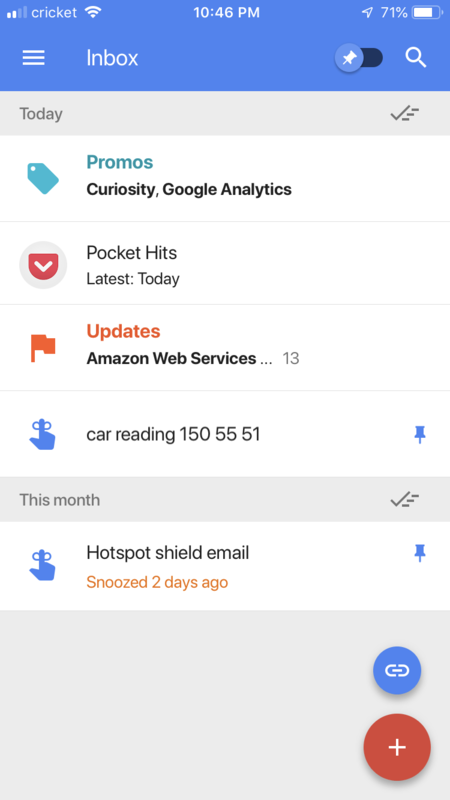 Inbox uses a single screen to show emails, reminders, and saved links, yet, makes it super easy for the user is able to differentiate between all of them. Pressing the ‘+’ on the right hand bottom corner shows the user direct buttons to start composing emails to contacts being used frequently, and a button to create a reminder. You can also press the ‘+’ button again to compose an email to other recipients. 2. Emails as To-Do List Items: A lot of us have hundreds of email in unread. That is mostly how we worked with our emails. No one cared how many emails you ignored and/or missed. But with the advent on Inbox the way users treat emails completely changed. Your email inbox now worked just like a to-do list. You can take three actions on every email that arrives – read it and mark it as ‘done’, ‘snooze’ it so you can be reminded at a chosen time and date regarding the email, or ‘delete’ the email. In the end you would want your task list (inbox with emails in this case) to be clear, isn’t it? Regular Gmail now has the option to snooze your emails but does not have the done option. You can, however, archive the emails that you are done dealing with. For me it’s not the same. I treated my email list as a to-do list all these years and it helped me significantly to act on my emails promptly. Inbox also had a cool screen to show you don’t have anything else to take care of at the moment. 3. Actions in Email: Inbox allows users to perform any action listed in the email without even opening the email. Gmail also has the capability now, but is not as intuitive as Inbox. Below is a comparison of how an action looks on both. 4. Email Links and Summary View: Inbox allows you to view links that are inside emails and also a brief summary of content in a user-friendly way. This allows a user to click on only the links that they are interested in without even opening the email. Gmail currently does not have this feature. 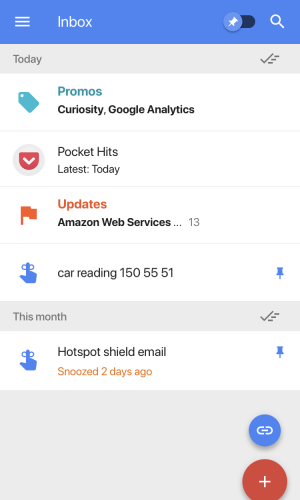 Coming to the mobile applications for Inbox and Gmail, there are quite a few features missing in the Gmail app that are currently available in Inbox. When you copy a link in any application on your mobile you are given an option to save the link for future use (this bookmark can be viewed on the web too). This feature is currently missing on Gmail’s mobile app. 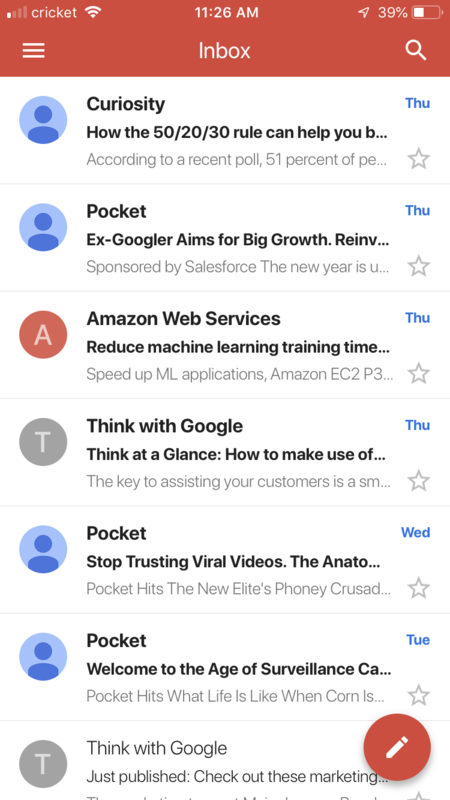 Besides the missing features, the interface of Gmail’s mobile app also feels cluttered compared to the Inbox’s mobile app. To conclude, I think Inbox has always been far ahead of Gmail in all aspects and people who used Inbox love it. If Google has decided to discontinue Inbox because of lack of adoption, it should work towards making more Gmail users aware of Inbox and its features. Discontinuing an app its users love is not a good move. Hope someone at Google is listening! Next Next post:How to Create A Database on Azure in Minutes?